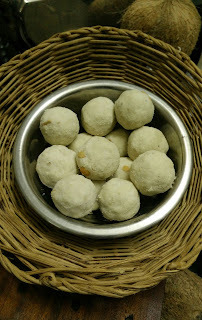 These delicious sugar balls are made with flattened rice/betaen rice , sugar and ghee. 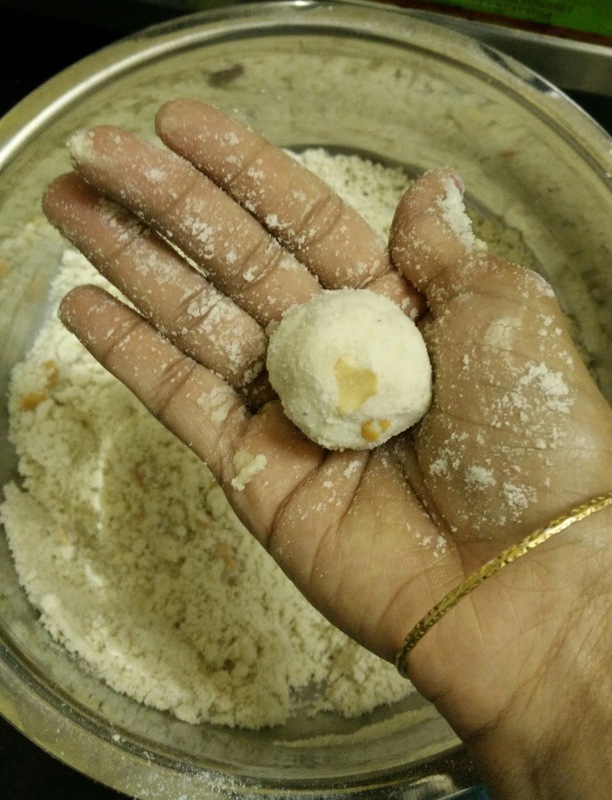 Preparation is very similar to wheat flour sugar balls which I have already shared in my earlier post. 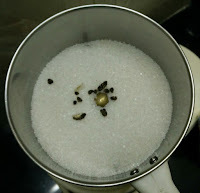 I wanted to prepare something different using avalakki/pohe for janmastami this year. Searched and found this recipe here. Very simple , easy and tasty too. 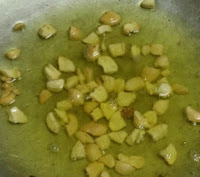 Please don't forget to get back to me with your comments if you try this recipe....! 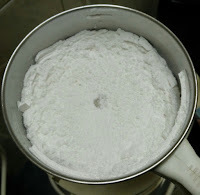 In a large thick bottomed pan, dry roast the flattened rice in low/medium flame until it becomes crispy and light brown (It takes around 8-9 minutes).Switch off the flame and let it cool.After it cools down transfer it into mixer jar. 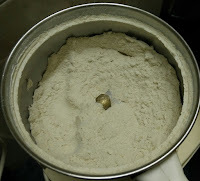 Grind the roasted poha into a smooth powder. Transfer this into a large mixing bowl. Now to the same jar, add in sugar and cardamom. 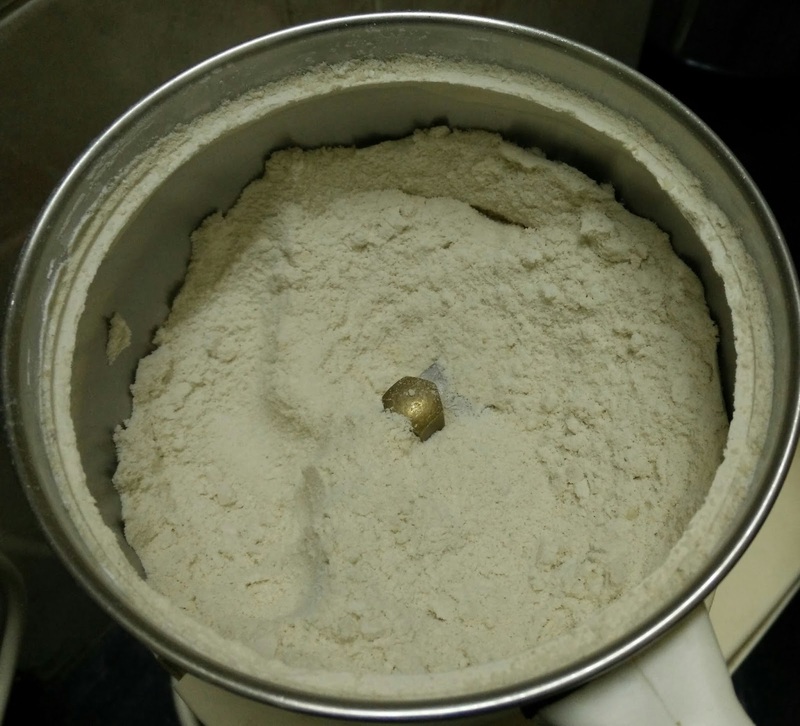 Grind them into a smooth powder. 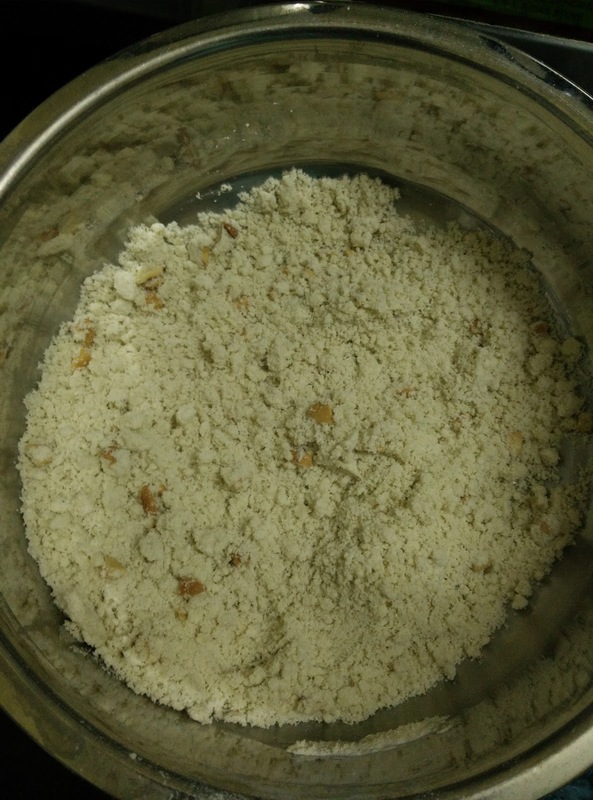 Transfer the ground mixture into a same mixing bowl. Now heat 1/4 cup of ghee in the pan and roast chopped cashew nuts until it becomes golden brown.Transfer the hot ghee along with roasted cashews into the same mixing bowl. Mix everything well using a spatula. 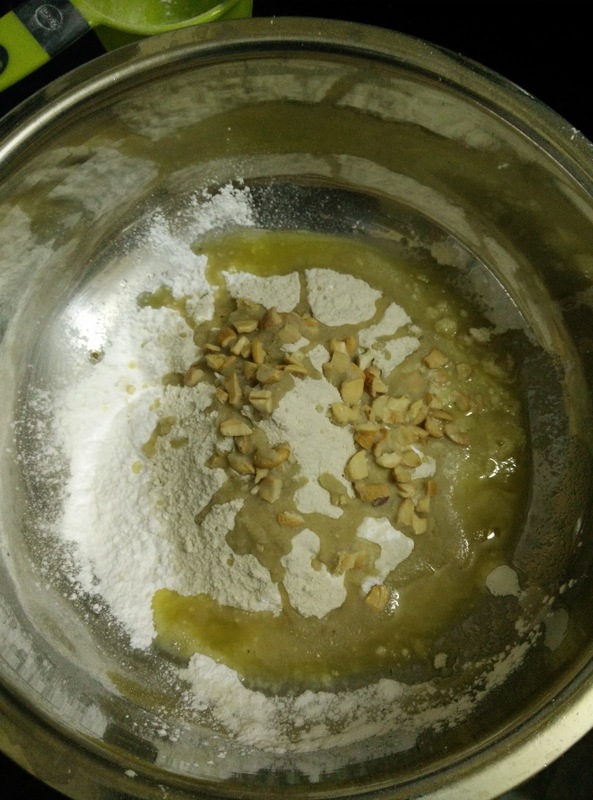 (Please use spatula to mix everything well to avoid burning your hands).After it becomes luke warm start making laddus using your hands . (size of your choice! ). 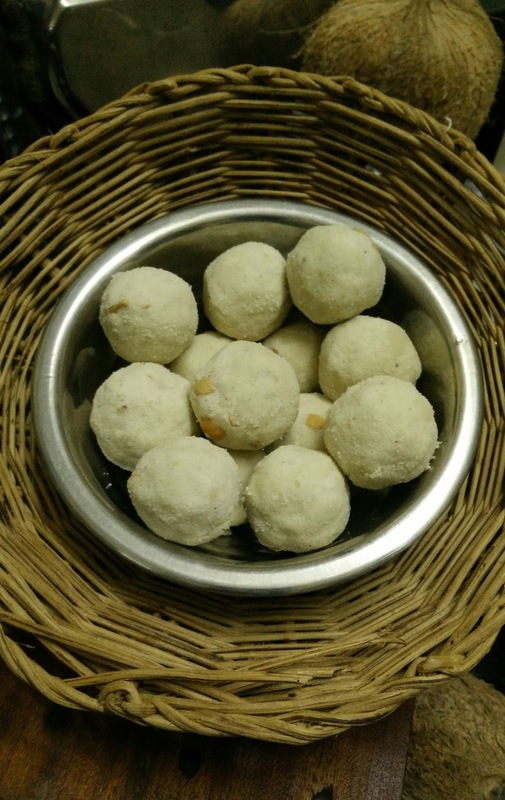 Place the laddus in the plate carefully.If you are not able to make laddus add 2-3 tbsp of ghee , mix well again and try making laddus. Finish off everything before the mixture becomes cold.These laddus are fragile so handle the laddus with care. 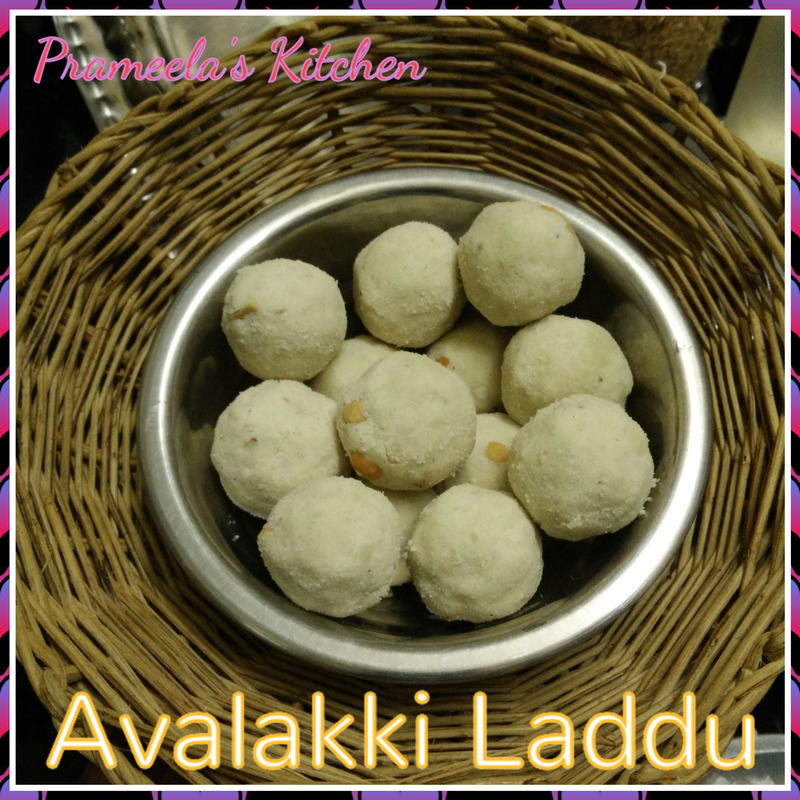 Store the laddus in airtight container and enjoy. 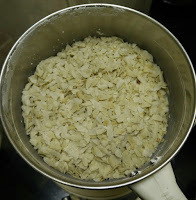 Do not over roast poha/flattened rice. You can increase /decrease the quantity of sugar as per your preference. You can add in other fry fruits of your choice along with cashew. Thanks for going through my recipe . Your comments means a lot to me . Kindly get back to me with your comments. 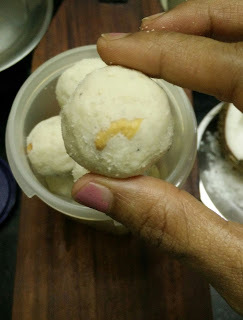 Please do share the recipe with your friends and family if you like.